I don’t think I’ve ever met someone who doesn’t like Ben & Jerry’s ice cream. I’ve even used someone’s favorite Ben & Jerry’s flavor as part of my criteria while deciding whether or not we’d be going on a second date. Because seriously: Phish Food is objectively better than Cherry Garcia — and if you don’t agree, it just ain’t gonna work between us. But have you ever dug your spoon into a perfect pint and wondered: How do they make that perfectly spherical “core” of cheesecake, or get those just-so swirls? Althea Sherwood knows. She’s worked at Ben & Jerry’s for 35 of the almost-40 years it’s been in business. It’s not surprising Sherwood’s kept her job with the Vermont-based ice cream company for the better part of her career. Ben & Jerry’s is well-known for its progressive policies, including paying its employees a livable wage that’s nearly double the national minimum, according to its website. And there is this exciting perk: “I’ve known Ben and Jerry for most of my life,” Sherwood says. The Atlantic’s Bourree Lam got to pick Sherwood’s brain about working in the ice cream biz. Sherwood’s worked almost every position available, but these days, she’s on the manufacturing floor. And it turns out, some of the most tempting flavors are just as finicky as you’d imagine. That’s because those beautifully-swirled combinations come together via a complex system of feeder pipes. The ingredients have to be just the right temperature or they might turn to mush. And just the right amount of ice cream and filling has to be put through the pipes, or they’ll get clogged. In some cases, the length and width of the pipes needs to be reconsidered to figure out how to make a given ingredient feed into the pint faster. “There’s a lot of math to it,” Sherwood explains. She also has the privilege of being Vermont’s first milk pasteurizer, a title she earned years ago, when Ben & Jerry’s demand outstripped the supply it’d been sourcing from the state university. To keep up with eager ice cream buyers, the company needed to make its own mix — so it sent Sherwood to school to learn to pasteurize. It was hard work, but she loved every minute of it. But as undeniably awesome as working in ice cream your whole life sounds, in the end, it’s just like everything else: It comes down to the people you share it with. And Sherwood’s colleagues have made the job that much more perfect. And nothing brings a family together better than sharing some delicious ice cream — no matter which flavor you choose. 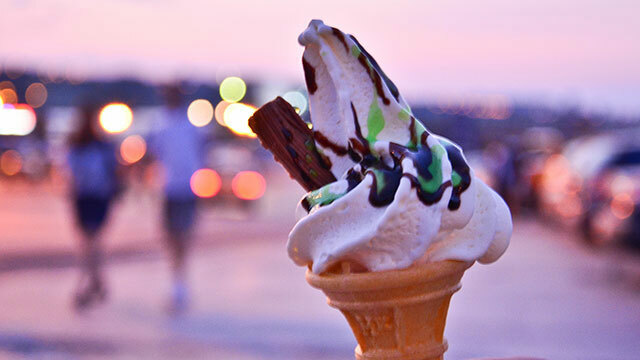 Your Turn: Would you work in an ice cream factory? 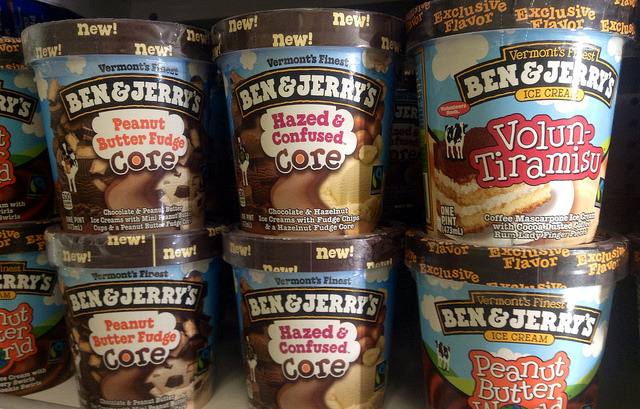 What’s your favorite flavor of Ben & Jerry’s? Jamie Cattanach is a staff writer at The Penny Hoarder. If you are what you eat, she’s probably like 60% Ben & Jerry’s.